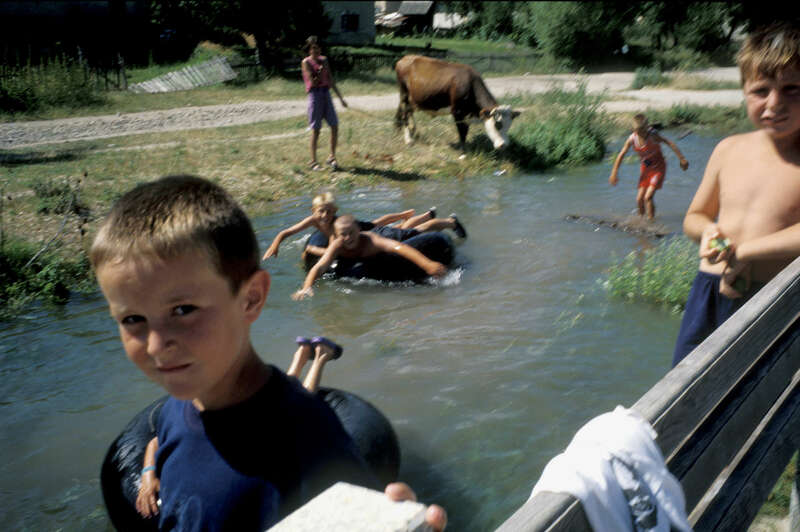 Children play in the river that runs through the village of Vesela, which has had a refugee return rate of some ninety percent of its pre-war population of Muslims, Serbs and Croats. Vesela has been hailed as a sucess story by Bosnian officials; in the aftermath of \"ethnic cleansing\" and genocide many towns and villages remain heavily populated by one group or another, with many refugees reluctant to return to the homes they fled during the war. July 2001.